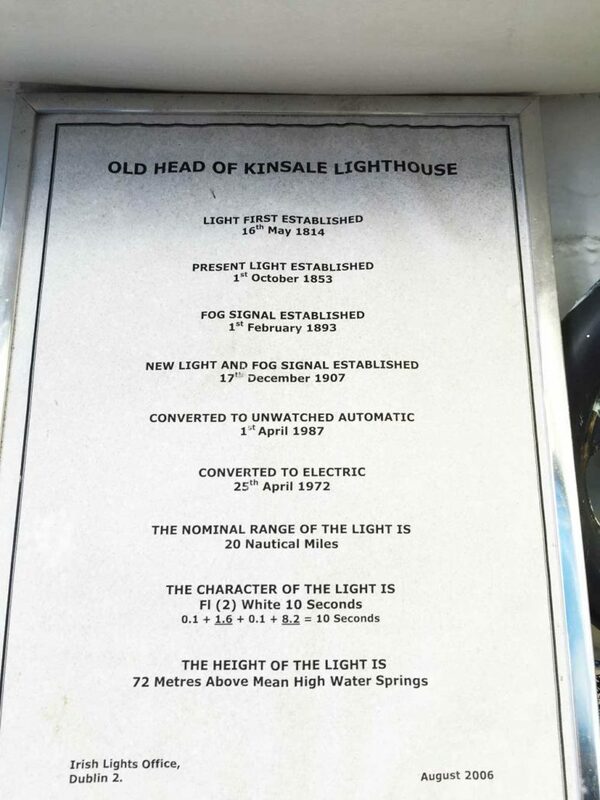 I was excited to finally get to the first of the Discovery Points on my Wild Atlantic Way road trip, the Old Head of Kinsale Lighthouse and Signal Tower. 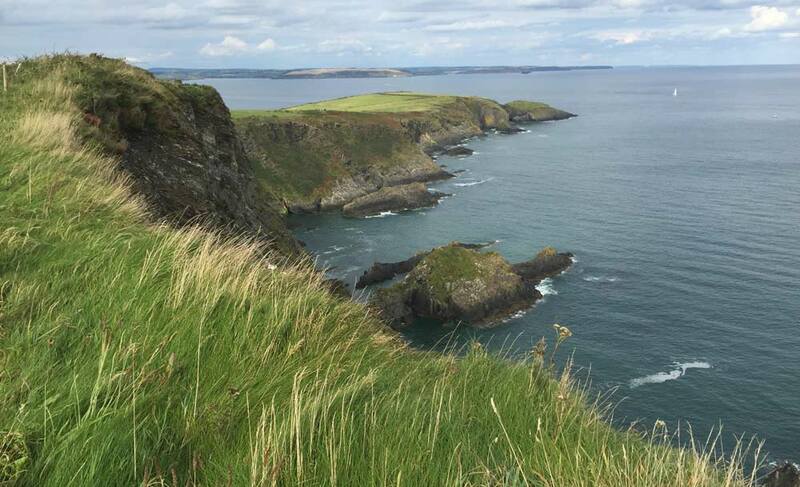 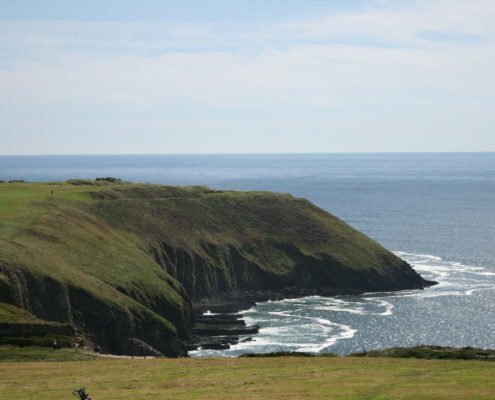 The Old Head of Kinsale headland juts out into the Atlantic ocean on the beautiful coastline of County Cork and is such a special place that it is one of only 15 Signature Discovery points singled out for special mention on the whole of the 2,500 kilometer route. 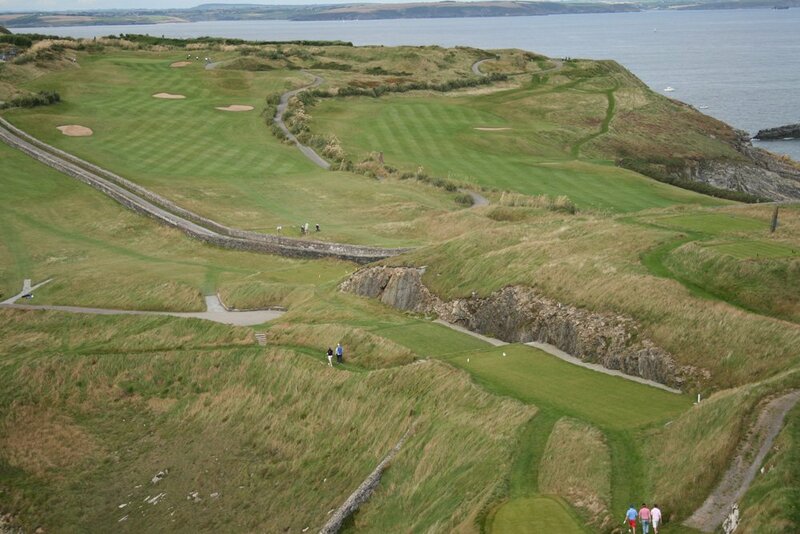 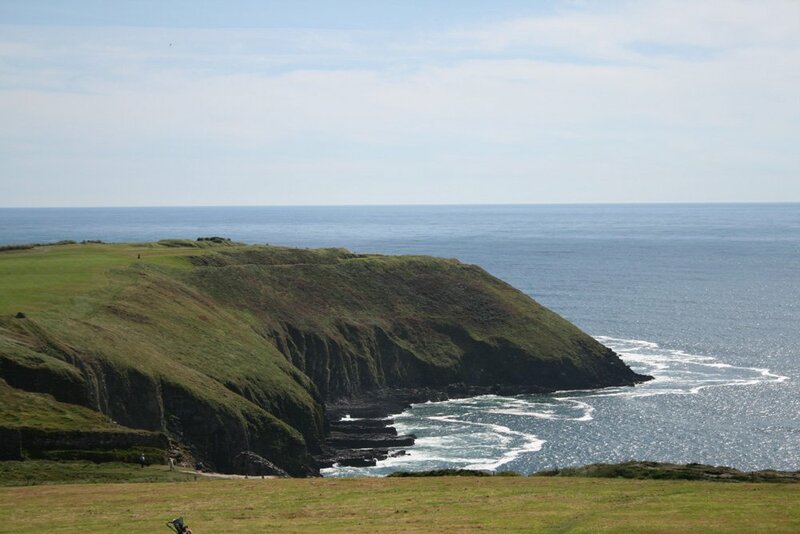 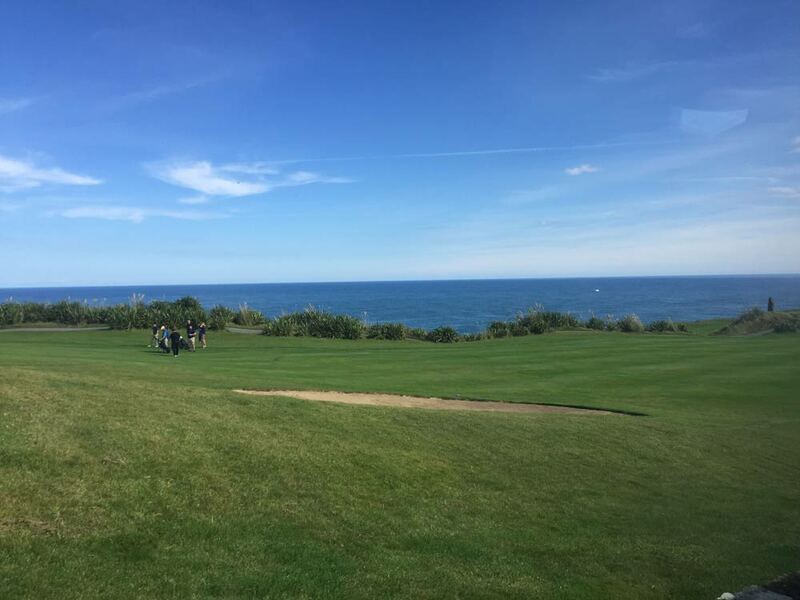 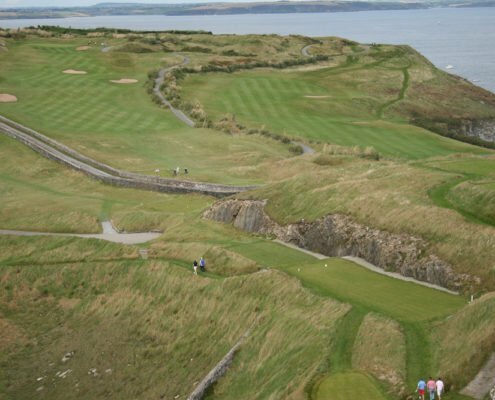 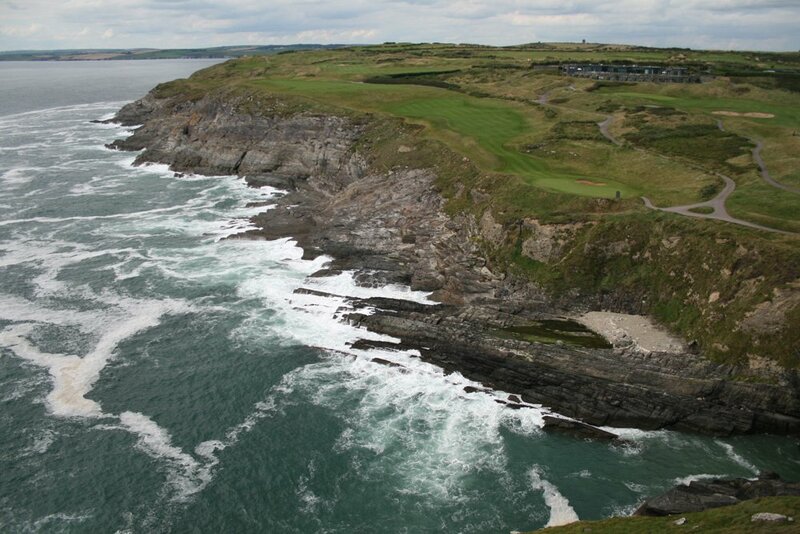 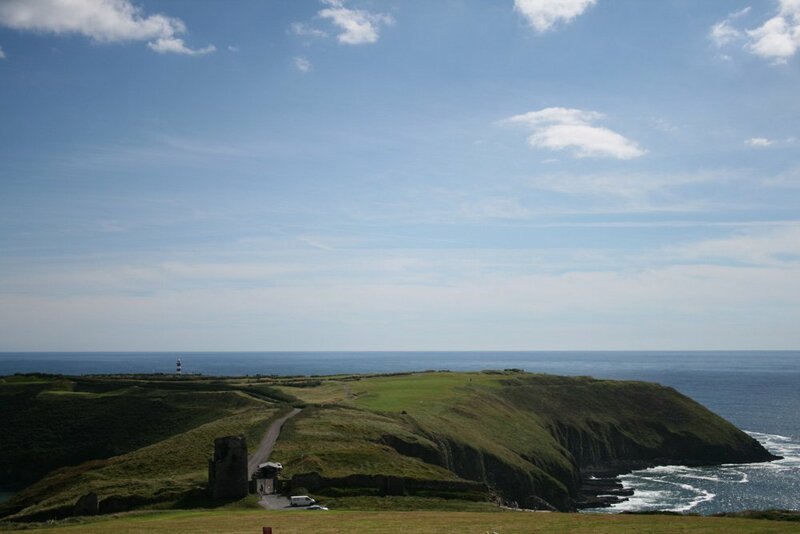 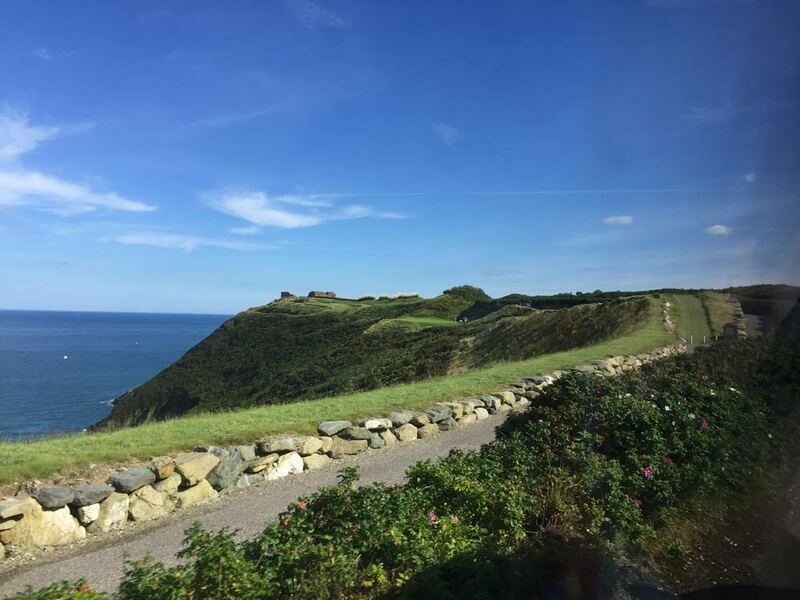 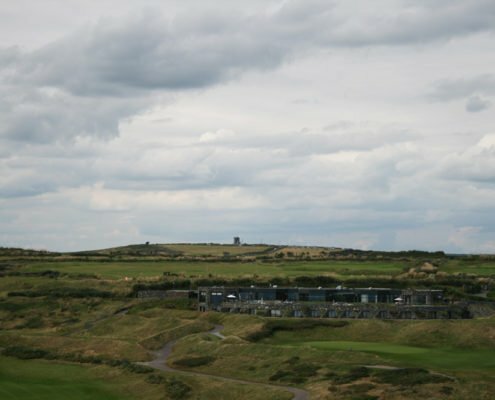 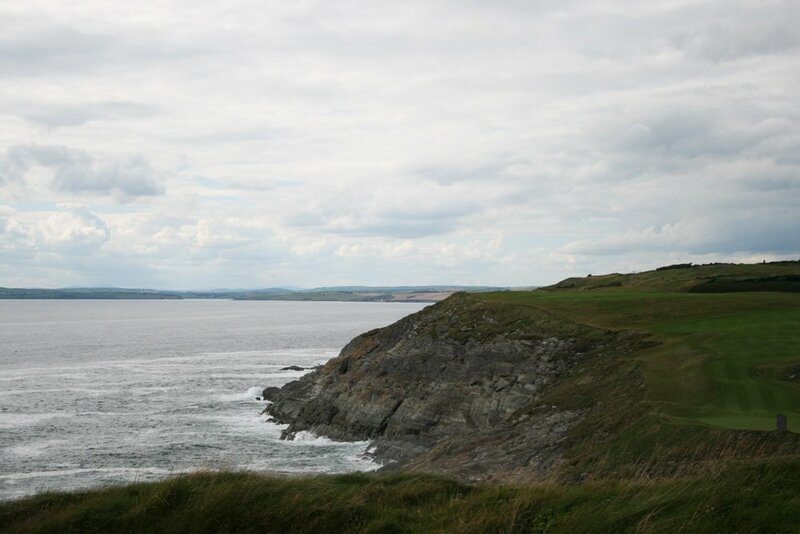 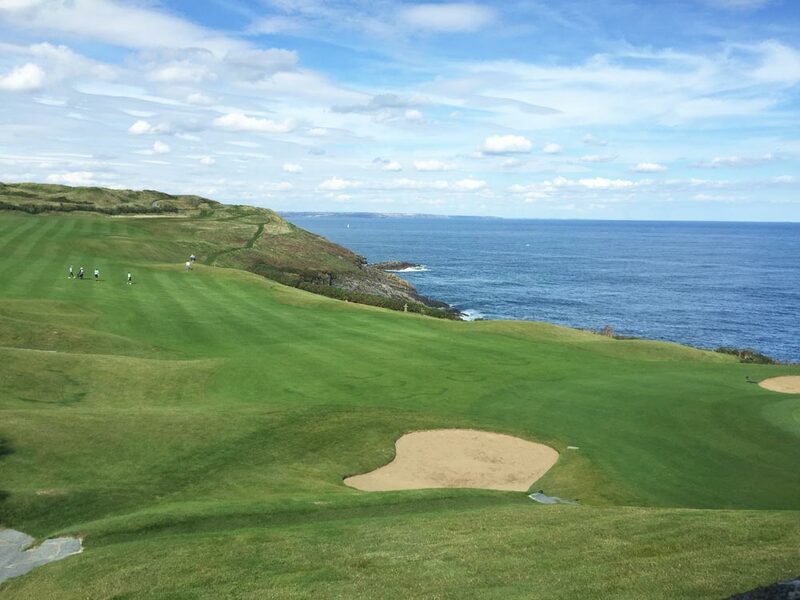 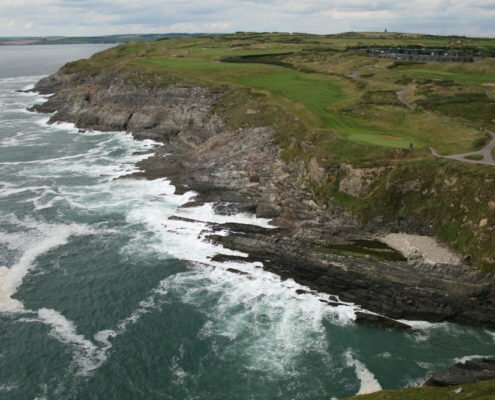 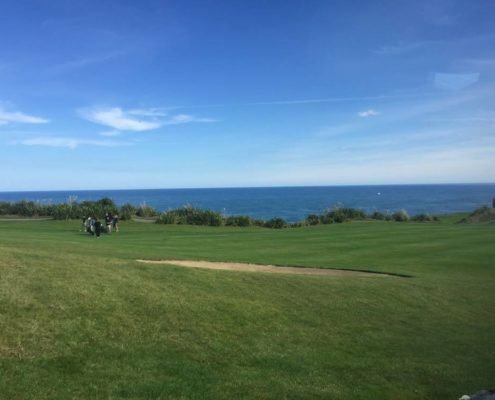 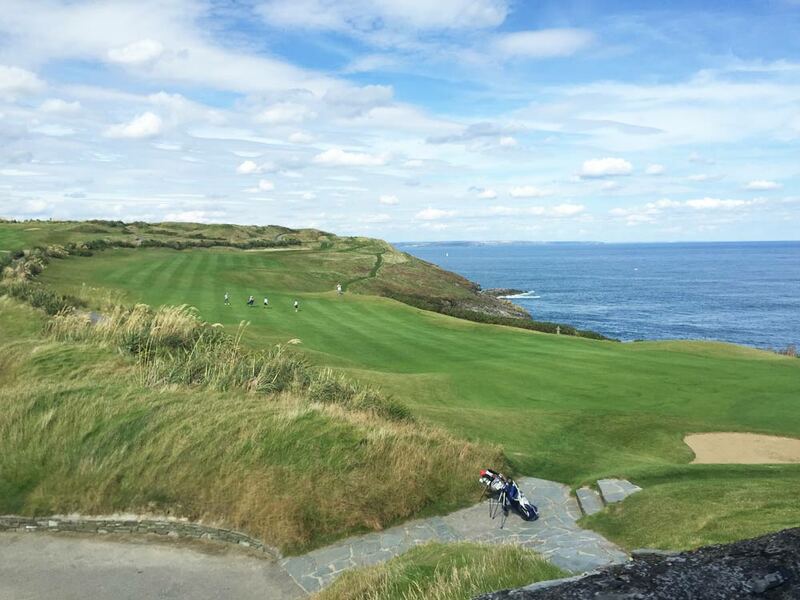 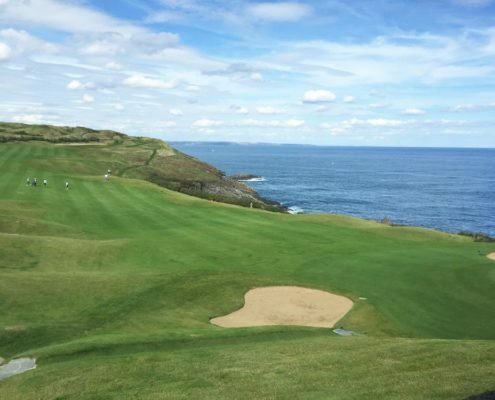 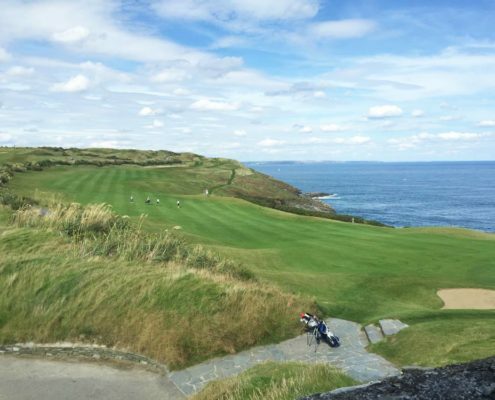 Most of the extreme headland is home to the famous Old Head 18 hole golf course and the 17th century Old Head of Kinsale Lighthouse. 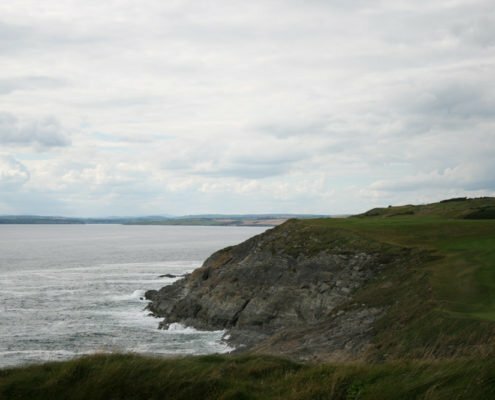 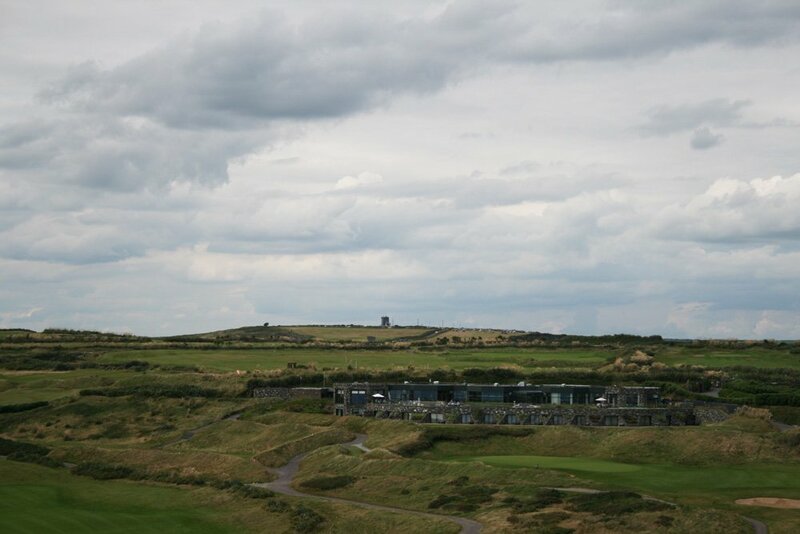 Usually access to the headland is restricted to members and golfers from the Old Head Golf Club and the lighthouse too is mostly not open to the public except for a couple of days per year in May and during Heritage Week in August, when locals and tourists are given access by bus to the lighthouse. 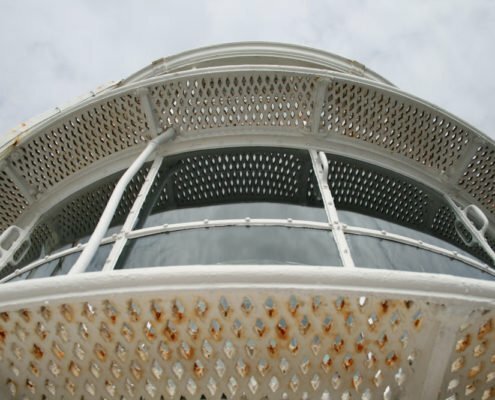 Happily, on the day of our visit it was open to the public and so we were able to get great photos and video from the top of the lighthouse and the signal tower. 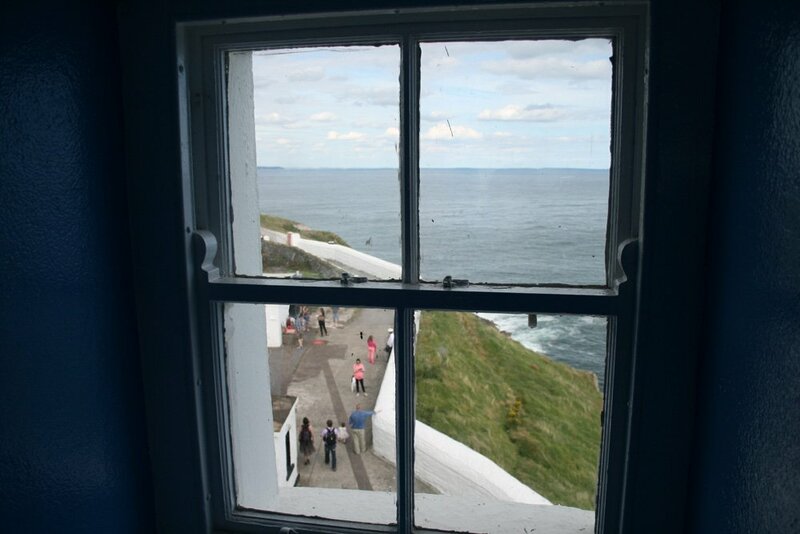 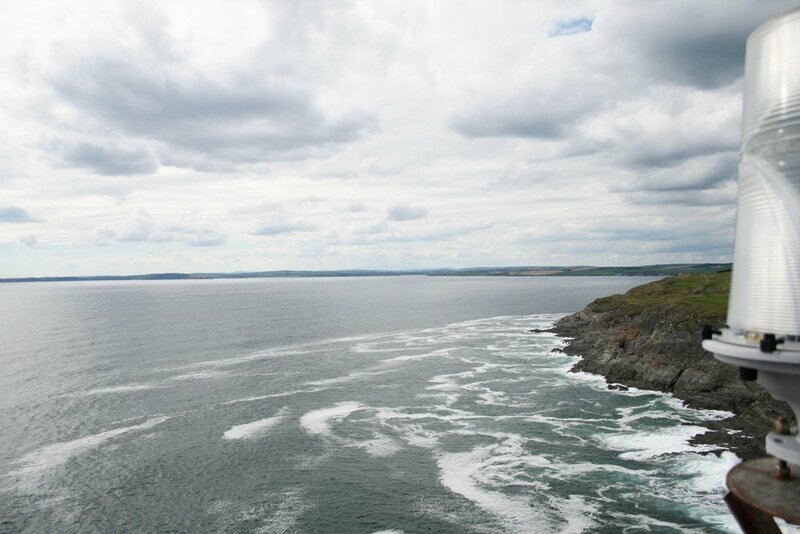 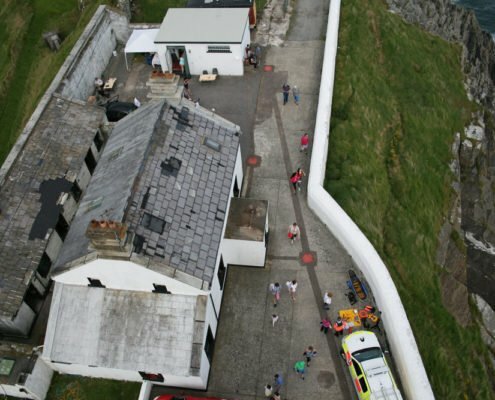 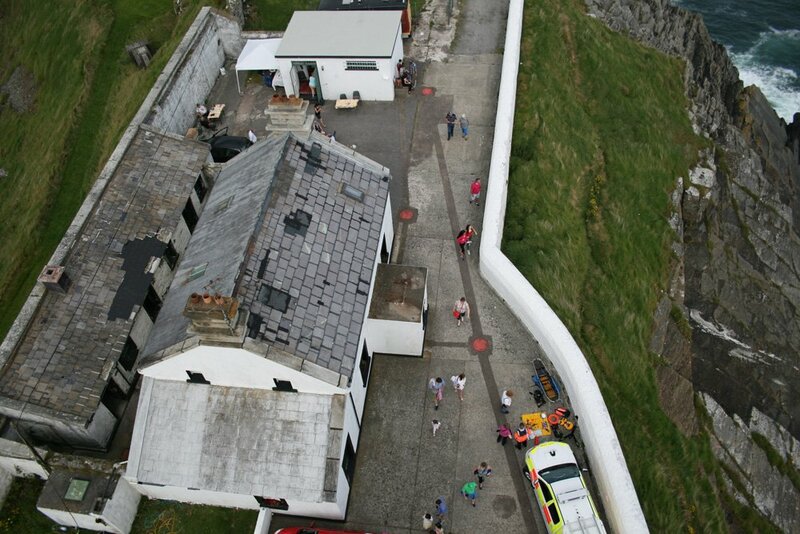 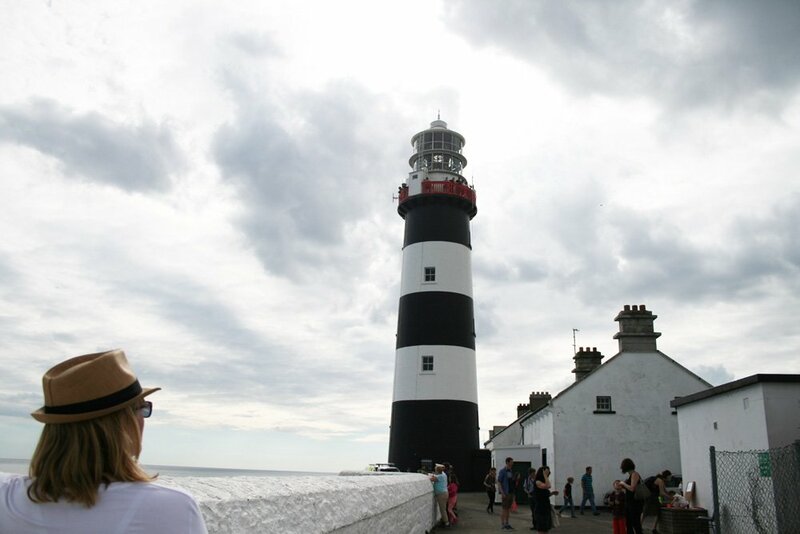 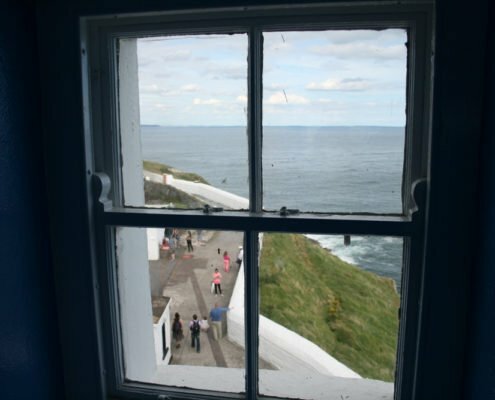 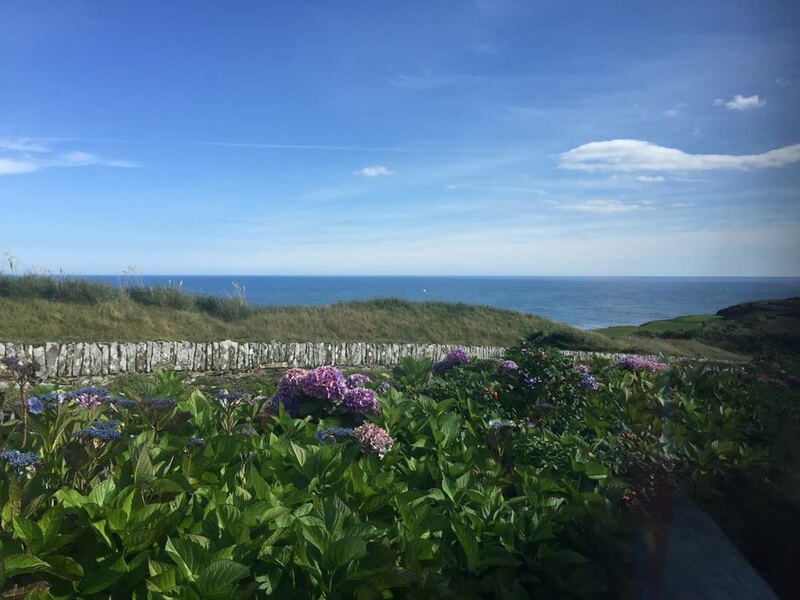 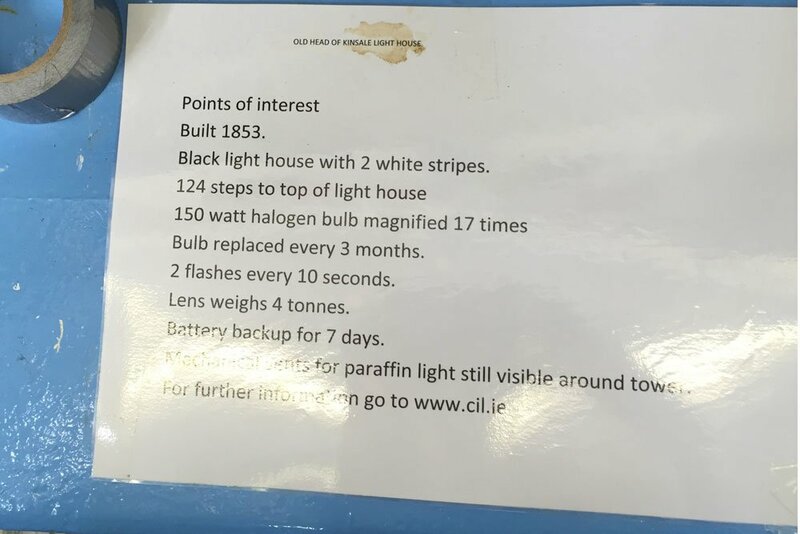 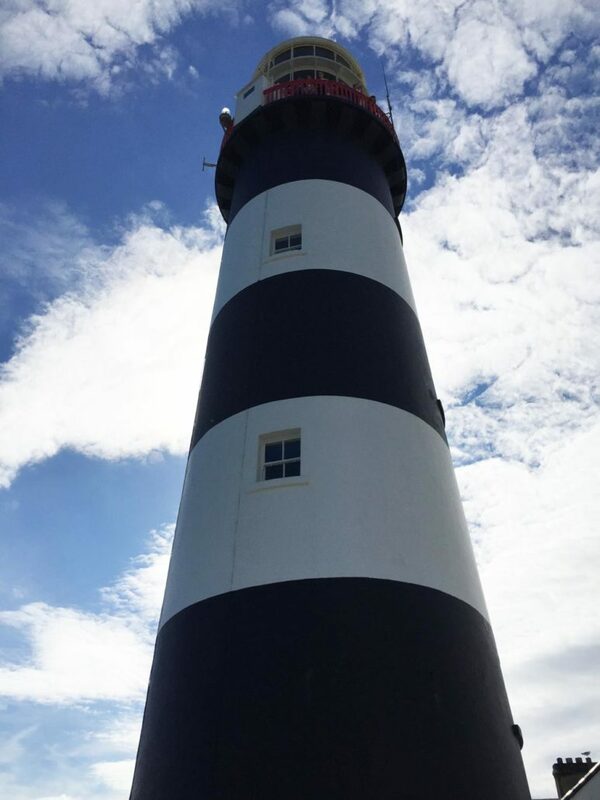 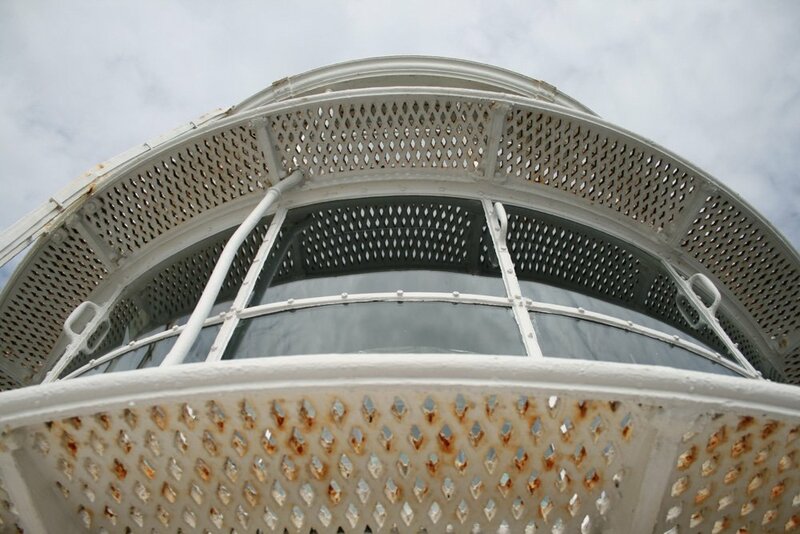 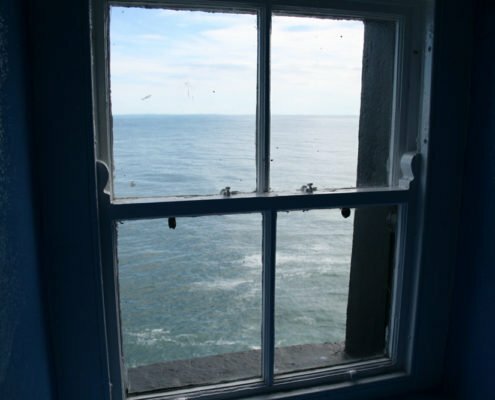 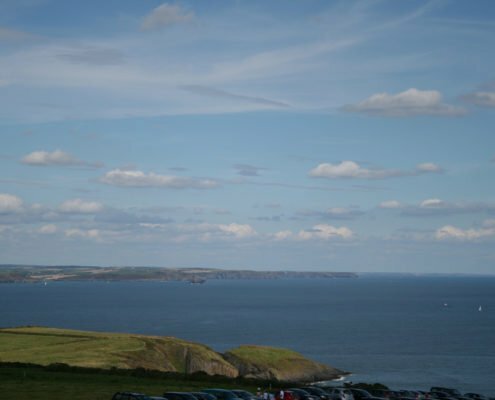 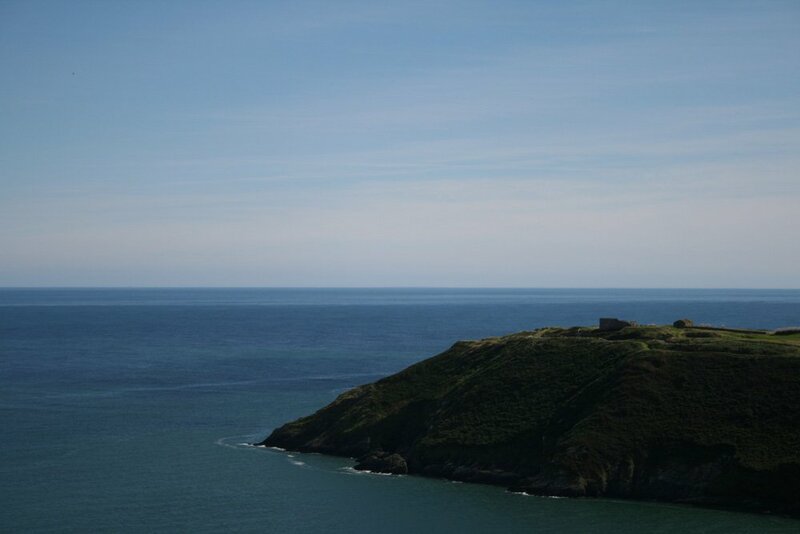 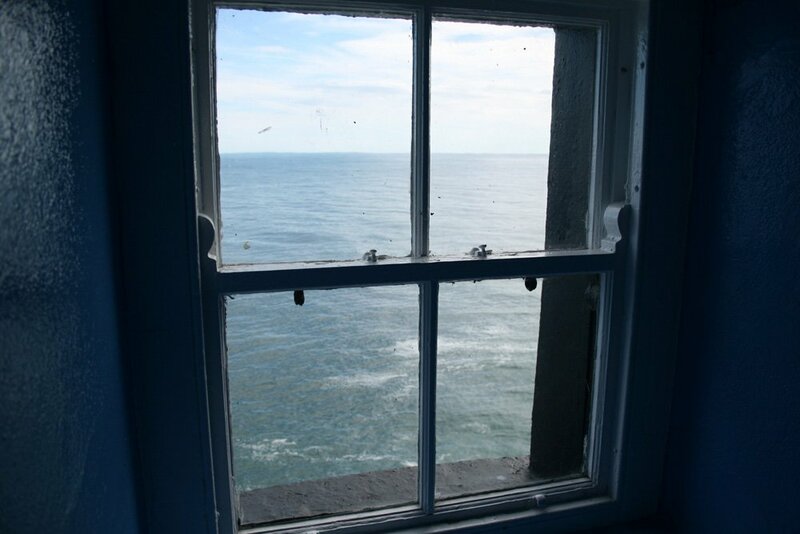 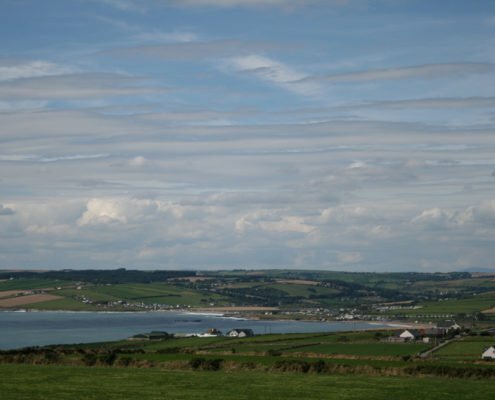 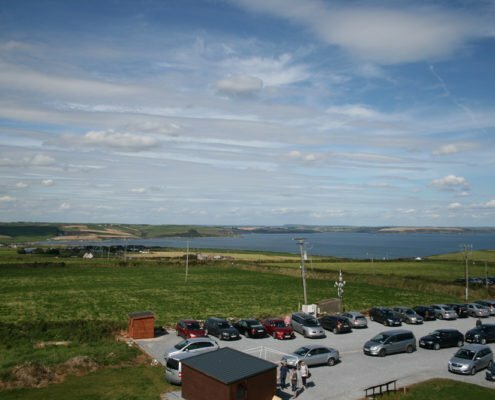 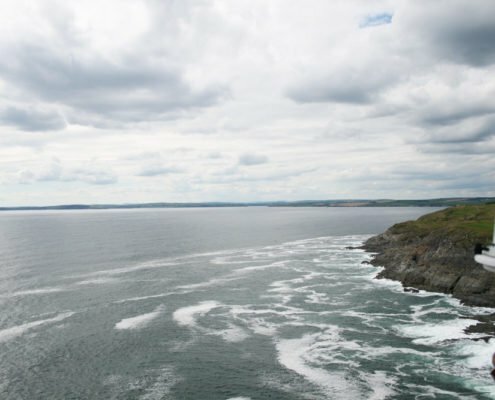 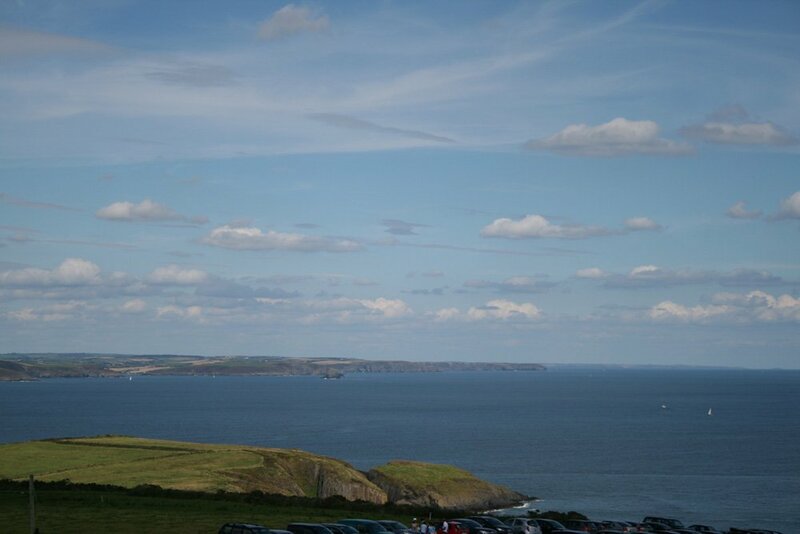 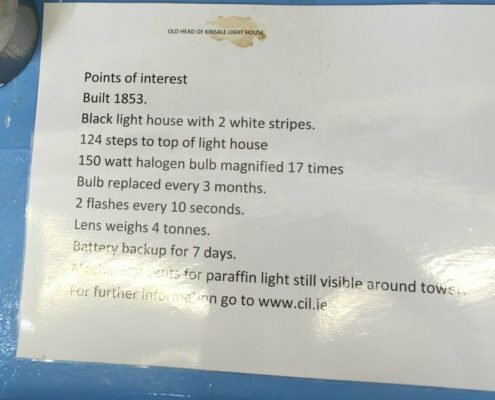 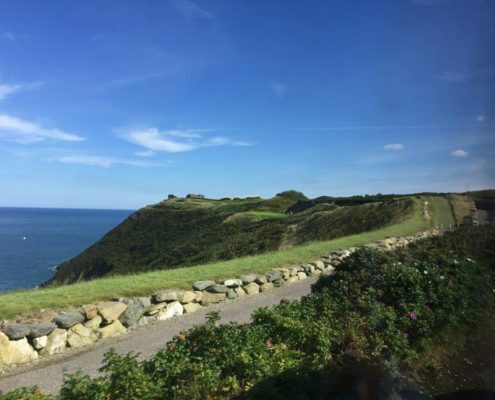 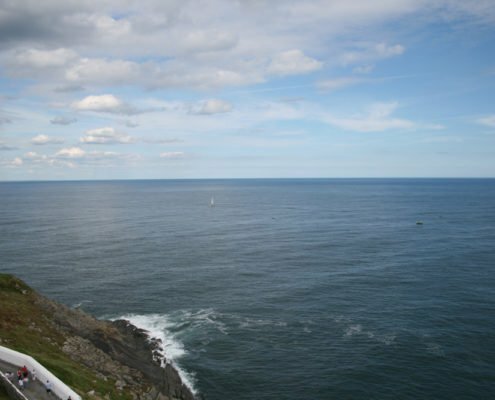 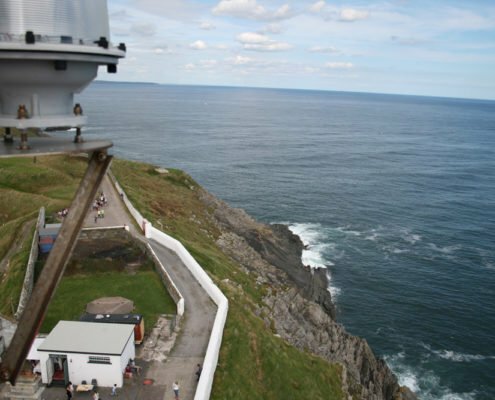 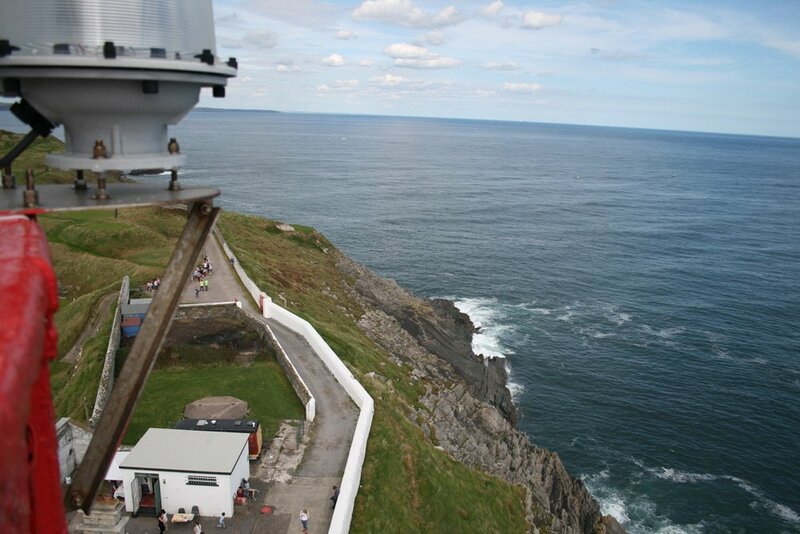 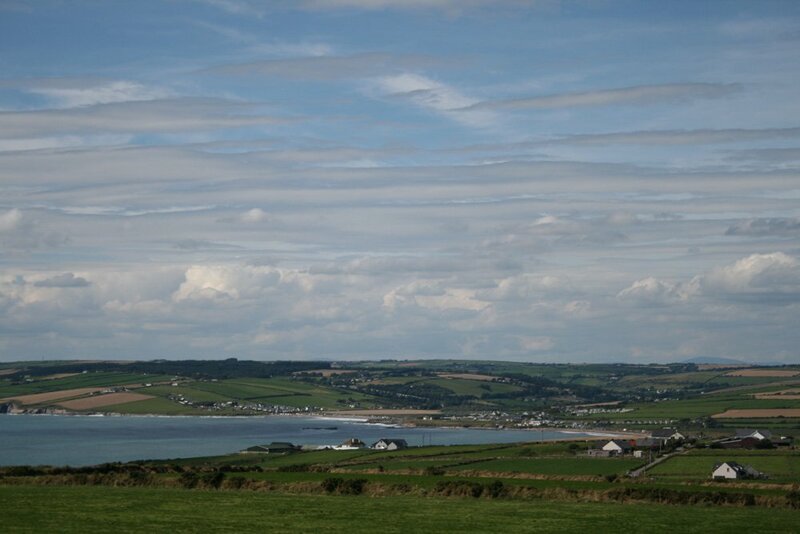 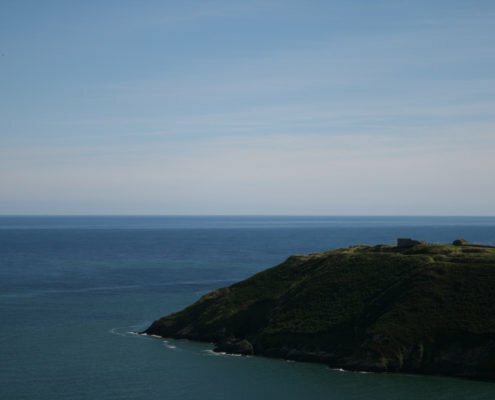 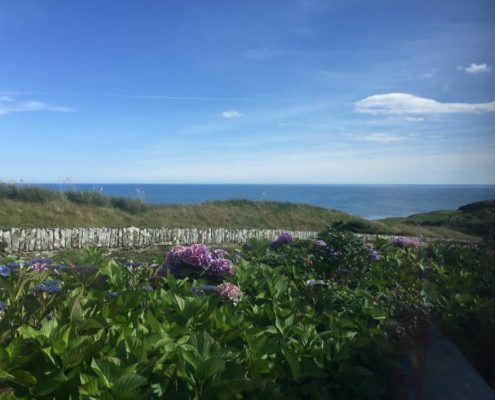 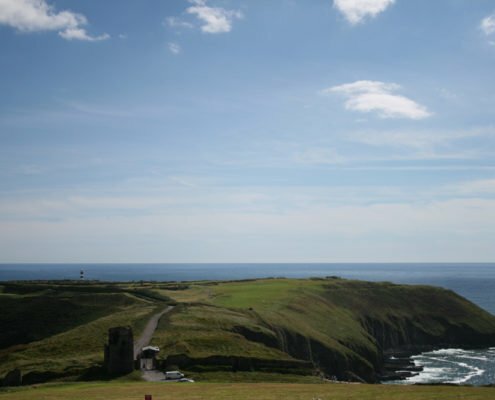 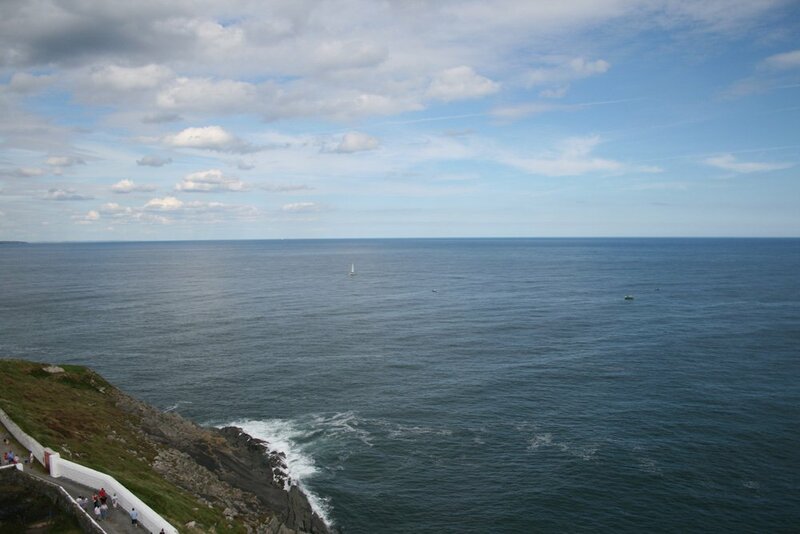 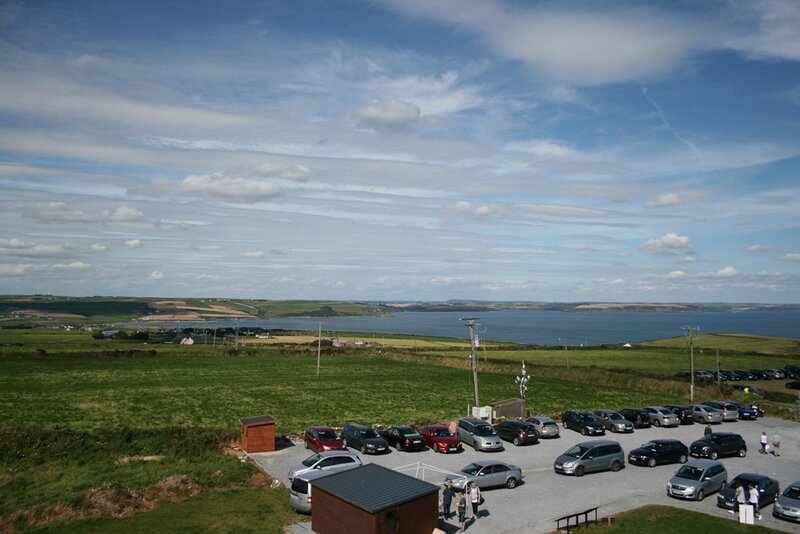 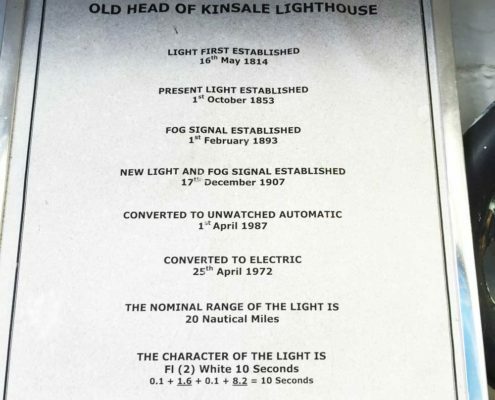 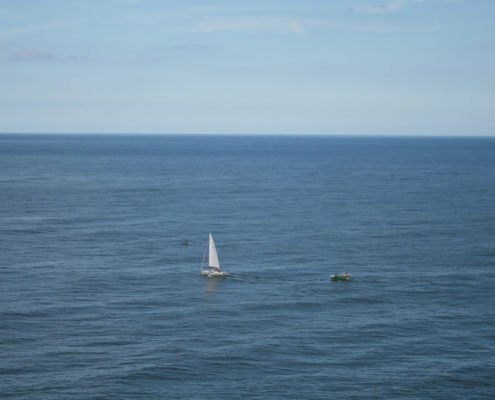 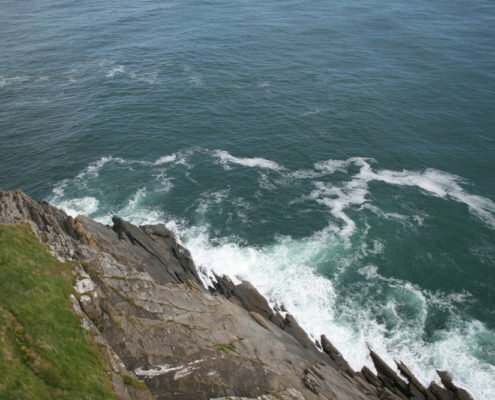 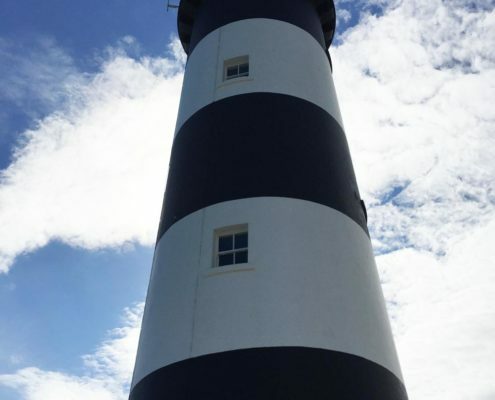 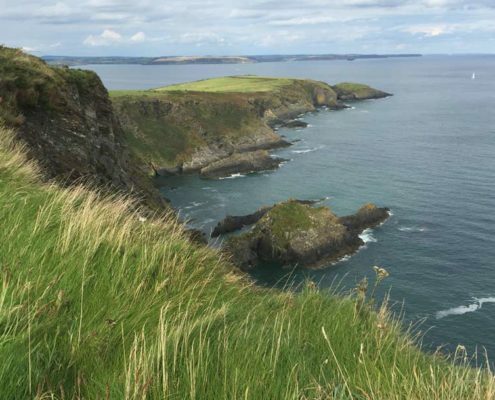 Take a look at the videos of the views from the top of the lighthouse and signal tower plus a 360° view of the area on our main page about the Old Head of Kinsale Lighthouse and Signal Tower. 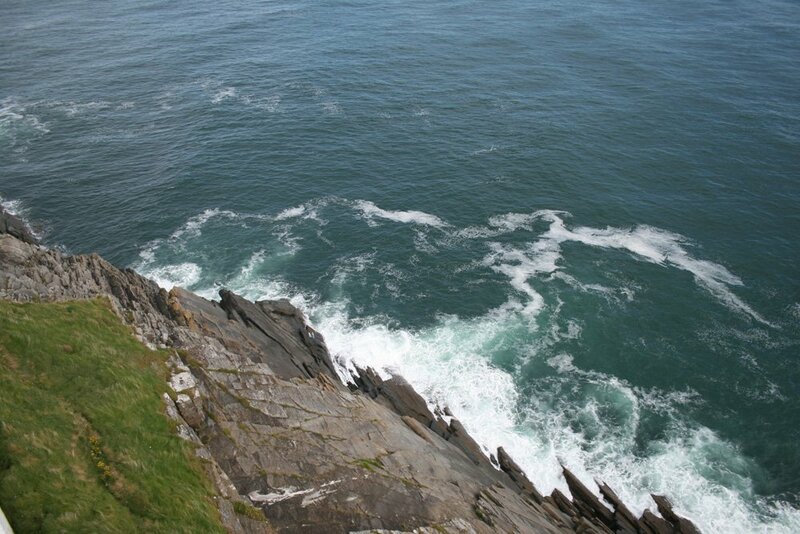 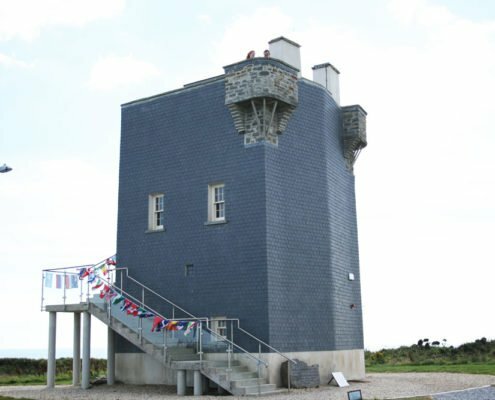 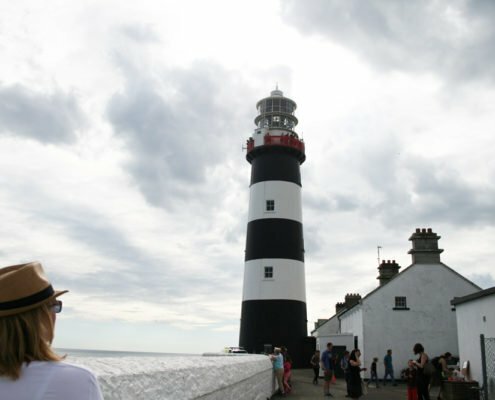 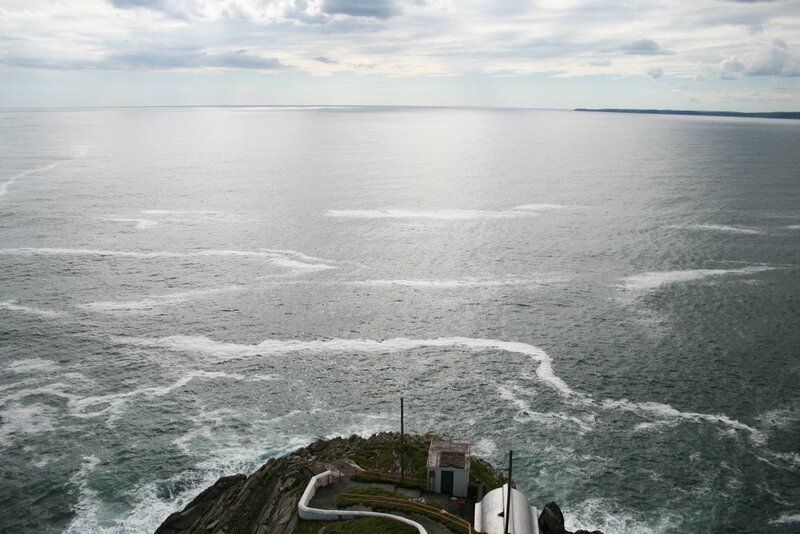 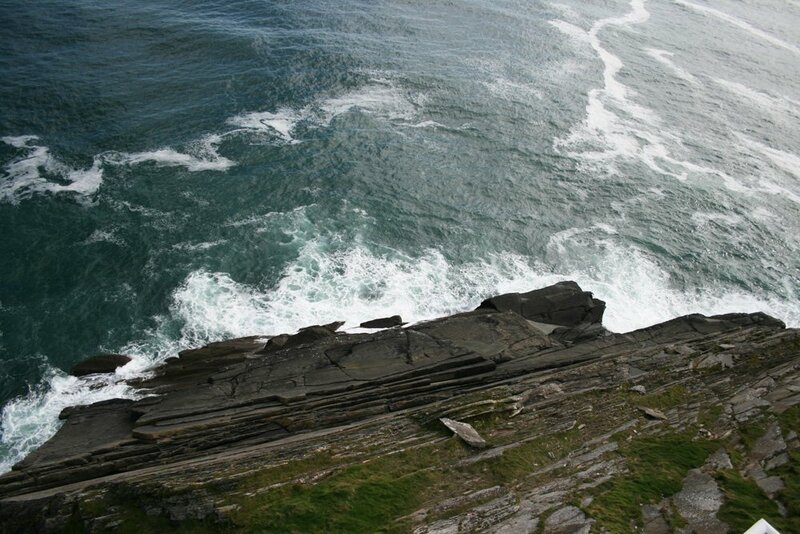 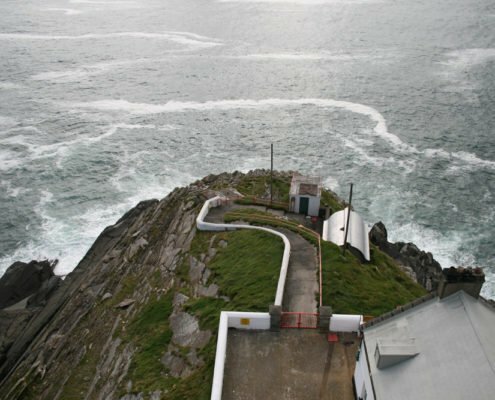 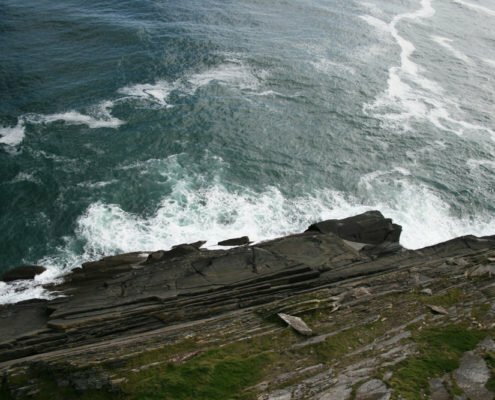 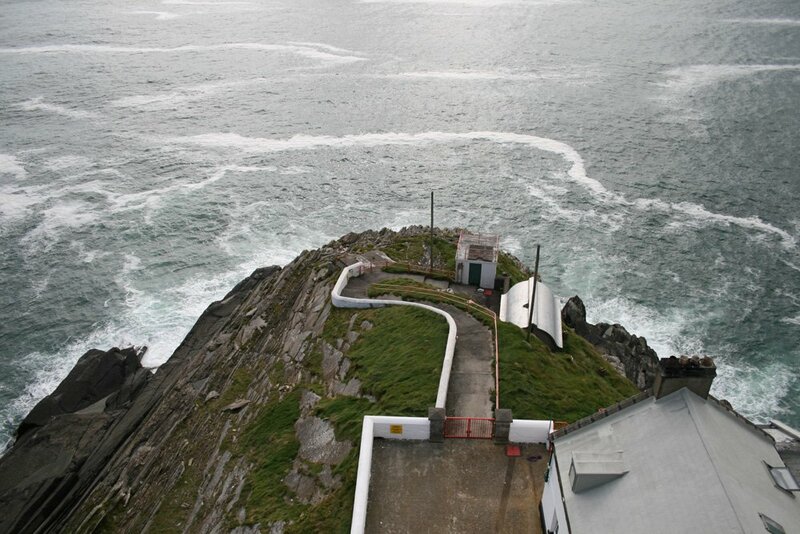 The official Wild Atlantic Way Discovery Point is actually not at the lighthouse but at the Signal Tower which has been beautifully restored as a viewing point and as a Lusitania Museum and Interpretative Centre and garden. 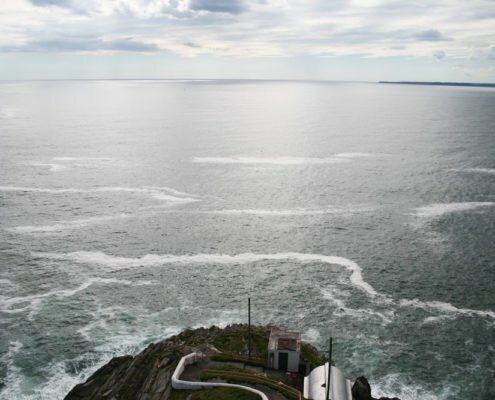 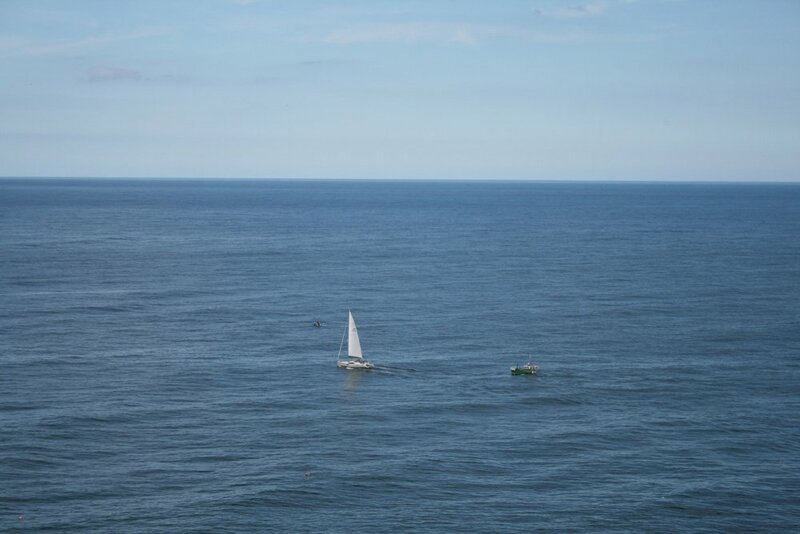 Seeing some of the artifacts from the sinking of the Lustiania when almost 1,200 lost their lives in 1915 gave me pause for thought and made me all the more thankful for the beautiful day I was so lucky to enjoy here. 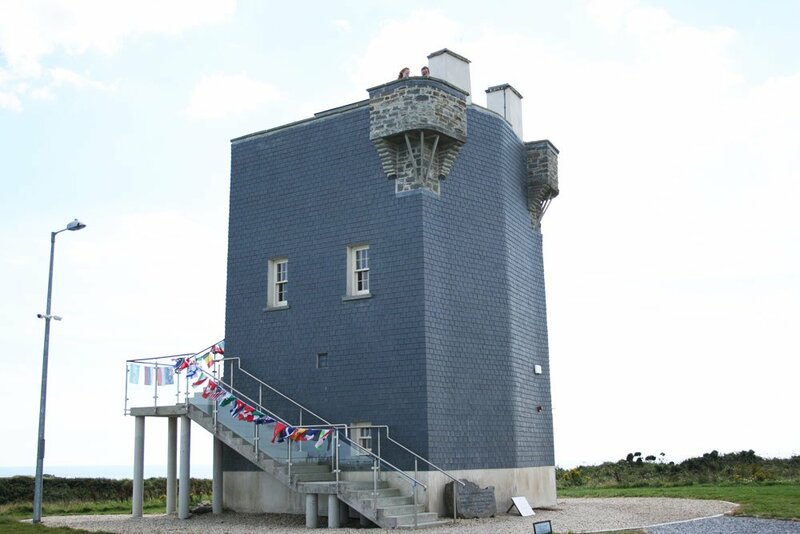 This Signal Tower is number 25 of 81 such towers built within sight of each other for the purpose of passing signals to Dublin Castle about activity along the coast.